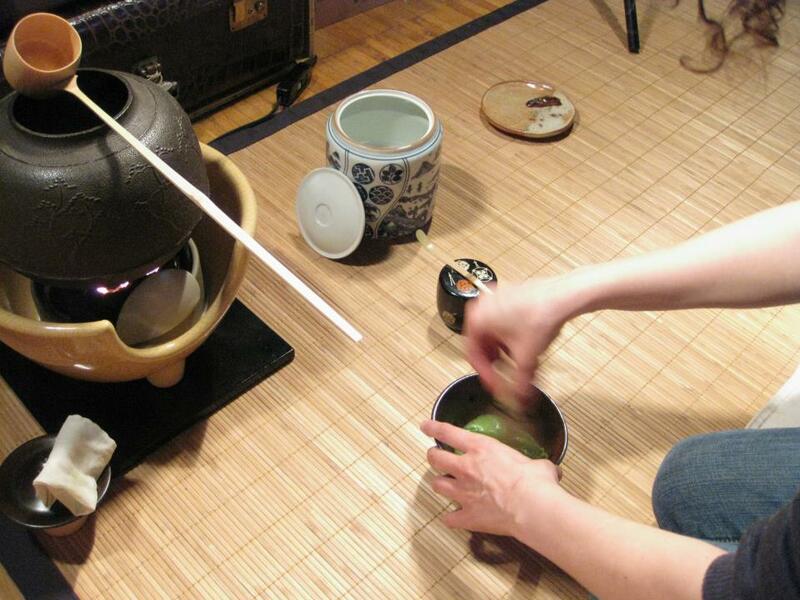 This past weekend, I went to a nabe and tsukimi tea party held by friends from my time abroad. At times, I really do regret spending so much time in Japan alone and wrapped up in my hobbies - as much fun as I had trying my hand at aikido, ikebana, yosakoi and others, travelling all over Honshu by local train, and of course wandering everywhere in Kansai on foot and by bicycle, when it came time for JET events, I was so embarrassingly out of the loop that I imagine anyone not from my year would have a hard time remembering my name. My Japanese friends were largely in Tokyo, and many local friends, JET and otherwise, returned to their lives abroad far too soon, so by my third year I was living the hermit life, and I have come to regret it a little since returning. Where I was antisocial in Osaka, I now go out of my way to be social back home, via cultural groups, JETAA events and now, meeting up with a few familiar faces from JET. I didn't even realize there were so many former Osaka JETs here in Toronto! I attended a dinner last month with a group of six or so and had a great time, though the tsukimi evening eclipsed (see what I did there?) that by far. Helen and Sorlie are tea fanatics and students of the Omotesenke and Youkenryuu schools of tea, respectively, and Helen did her JET tenure in a city very close to mine. In case any of you readers forgot, I am a fan of tea of all kinds, so when she invited me over for nabe and tea ceremony, I could not say 'yes' fast enough. Friends in Toronto, you absolutely must check out Helen and Sorlie's endeavors with Secret Teatime! They are setting up a studio in Scarborough, and are offering lessons in Japanese tea ceremony in the Youkenryuu style. Watching the ceremony on Saturday was a real treat, and we enjoyed luscious dark chocolates from Ambiance Chocolat. The chocolates were handmade and amazing, and brought me back to my days making trips out to the fabulous chocolatiers and bakeries in Kyoto. I'm really hoping to make it to more of their events in future and perhaps a few lessons as I've only learned the very basics of chanoyu. My roommate is almost certainly sick of hearing me talk about tea (though she graciously supplies me with it at Christmastime!) and I have a lot to learn about it, myself, so I'm looking forward to lots more Secret Teatime!